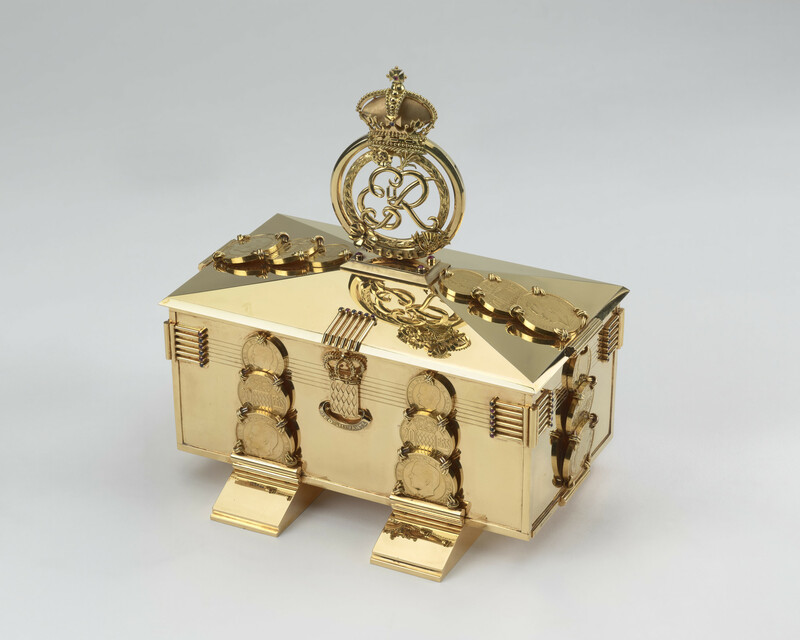 Gold presentation casket in sarcophagus form mounted w bands of medallions & coins. Engraved w lines set w small cabochon rubies & sapphires. Chamfered detachable cover surmounted by Crown & EIIR finial. On black marble plinth base.